Corby Distilleries has made Canada the first and only place you can enjoy new Malibu Snowflake rum this winter. The specially designed bottle has a cutaway reminiscent of a snow globe that reveals small flakes of coconut floating in the rum. To celebrate the launch the Toronto Institute of Bartending used Malibu Snowflake to mix up a few special cocktails like the Winter Whiteout. Fill a highball glass full of ice. 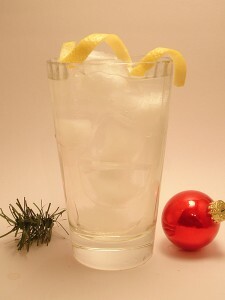 Add the Malibu Snowflake Rum, white cranberry juice and club soda; stir. Add a twist of lemon as a garnish and serve with a smile.